Spring 2 Year 6 Welcome back after the half term break. Here are some of the topics that we will be covering in this half term. We will regularly update our web pages to keep you up to date with what we are doing throughout this year. This term our topic is WW2. We will be studying this topic in detail throughout the rest of this term, culminating in our visit to Stockport Air Raid Shelter on 3rd May. We will be studying Goodnight Mr Tom in English lessons and using this as a stimulus for lots of different writing opportunities. We will incorporate art projects also. The children will also be able to complete projects at home, as part of their weekly homework tasks. We will be continuing to improve our SPAG skills throughout our work, concentrating on different aspects within our writing tasks. At this stage we will be revising many of the areas that children should be able to do. Also in English– This half term we will be studying the structure and content of adventure stories. We will be writing a diary and a short adventure story. We will read a variety of adventure stories and watch some film clips to help us with ideas and we will learn how to use the DADWAVERS app. In SPaG lessons you will be revising all areas of punctuation and continuing to work on all the aspects of grammar to make your written work better. Spelling strategies will continue to be taught each week and you will be given lists to learn for your homework. 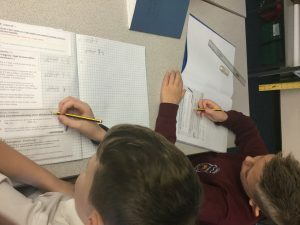 Maths–In our maths lessons we will be covering the Year 6 objectives from the maths Curriculum. 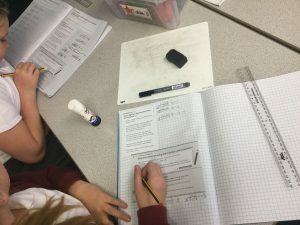 You will be continuing to work hard to achieve your targets in a variety of aspects of maths, trying to become more fluent and developing your reasoning and problem solving skills. We will be focussing on the using and applying aspect of maths through problem solving, reasoning, explaining and investigating. We will be spending a lot of time revising concepts already taught. You will also be continuing to learn all your times tables so that you know all the multiplication and division facts to 12 x 12 to become and taking part in the Battle of the Bands. Science–In our Science lessons we will continue with our topic on Light and Sight.The children will learn about how light travels and that we see things because light travels from light sources to our eyes, or from light sources to objects and then to our eyes. They will learn that shiny or reflective surfaces alter the direction in which light travels. Children will have the opportunity to solve problems related to everyday life about how light travels and how we see. Children will also investigate and explain the shapes of shadows, and relate this to light travelling in straight lines. In this unit children will learn how to classify living things using the major classification kingdoms. They will identify and describe the observable characteristics of a range of classification groups including micro-organisms, plants and animals. Children will make careful observations to identify the characteristics that help scientists classify all living things, such as whether a living thing has a backbone and how they reproduce. Children will also be able to use their observations to construct classification keys of increasing complexity. They will use evidence from their investigation to predict and investigate how to accelerate the rate of decay. We will complete this unit in the summer term. Computing– We will continue our work on coding, using the Scratch 3 program. Computing will also be used in a cross-curricular manner too in a variety of other curriculum areas to enhance learning. Remember to use your log in for Discovery Learning regularly to help you with any areas of year 6 work that you may need extra practise on. If you need a log in and password please see Mrs Lynch. The children will continue to get English and maths homework every week. We will always set the homework on a Friday and it must be brought back into school by the following Wednesday. The children will also be bringing home their reading books every day and it is vitally important that they read every day. We are really working on the children’s comprehension skills so it would be great if you could ask them questions about their books every time you read with them. 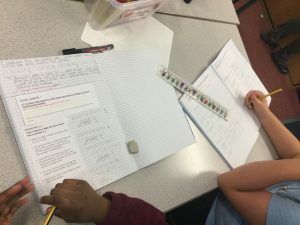 We keep track of the homework and reading on charts in the classroom that are linked to the assertive mentoring scheme that we use in school. In order to achieve a green mark their homework MUST be completed and handed in on WEDNESDAY. We will be doing P.E. on Thursday and Friday, so the children need their kits in school on these days. Just a reminder that school P.E. kit comprises of a white t-shirt, black shorts and pumps and if P.E. is taking place outside and the weather is cold, the children are allowed to wear dark jogging bottoms and trainers. All jewellery must be removed for P.E. We are looking forward to sharing all these exciting learning opportunities with you. Don’t forget to keep in contact using blogs! It is very important, in the run up to SATs, that all children are in every day and that they attend booster classes when required. Amended SATs presentation for any parents who could not attend the meeting. We will regularly update our web pages to keep you up to date with what we are doing throughout this year. Check out Facebook also. This term our topic is WW2. We will be studying this topic in detail throughout the term, culminating in our visit to Stockport Air Raid Shelter on 3rd May. We will be studying Goodnight Mr Tom in English lessons and using this as a stimulus for lots of different writing opportunities. We will incorporate art projects also. The children will also be able to complete projects at home, as part of their weekly homework tasks. We will be continuing to improve our SPAG skills throughout our work, concentrating on different aspects within our writing tasks. At this stage we will be revising many of the areas that children should be able to do. In maths, we will continue to work in streamed groups, to address any areas where support may be needed. We will continue to develop and extend our skills in the 4 rules of number, our understanding of place value, decimals, percentages, and fractions and measurement. We will be focussing on the using and applying aspect of maths through problem solving, reasoning, explaining and investigating. Please remember to encourage your child to carry on practising their times tables up to 12×12 as it is essential that they have rapid recall of all tables facts, including the inverse. 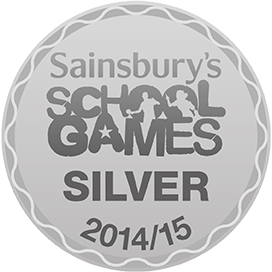 Encourage them to go on TTRockstars every week to have fun and practise at the same time. Try and beat the other class in Battle of the Bands. 6L are still in the lead. In science, we will be working on a unit called- Light and Sight. In this unit children will learn about how light travels and that we see things because light travels from light sources to our eyes, or from light sources to objects and then to our eyes. They will learn that shiny or reflective surfaces alter the direction in which light travels. Children will have the opportunity to solve problems related to everyday life about how light travels and how we see. Children will also investigate and explain the shapes of shadows, and relate this to light travelling in straight lines. The children will continue to get English and maths homework every week. We will always set the homework on a Friday and it must be brought back into school by the following Wednesday. The children will also be bringing home their reading books every day and it is vitally important that they read every day. We are really working on the children’s comprehension skills so it would be great if you could ask them questions about their books every time you read with them. We keep track of the homework and reading on charts in the classroom that are linked to the assertive mentoring scheme that we use in school. In order to achieve a green mark their homework MUST be completed and handed in on WEDNESDAY. We are always available if there is anything that you would like any advice or help with and are happy to address any concerns you might have in what is an exciting, but occasionally daunting year for the children and yourselves. Final Note—Excellent attendance is vitally important for your child to succeed. The Arrival- an extract from my story.By McKenzie. It was a dark and gloomy day – just a dull day in their house. John lived a poor life, with his child, Sophie and his wife Anne. Today wasn’t a good day for them. Sophie woke up to a depressing sound, she walked down the stairs and heard a familiar sound of a suitcase close. As Sophie’s mum came out of the kitchen she said “ Get your coat and hat on we are going somewhere…” As Sophie, John and Anne went down the cobbled path all of them stared at the weird black figures in the sky. As they all arrived, something hit Sophie. She realised what was going on. Her dad was leaving. Wonderful homework for our North America topic. We are already working really hard in this half term in year 6. In English, we are looking at The Arrival by Shaun Tan. 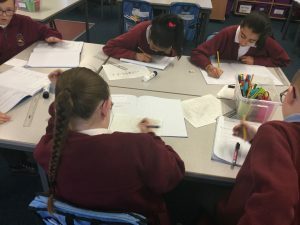 We have written letters, character descriptions, diary entries, short play scripts and we will be writing a longer story built around the central character’s journey to another country. We will be continuing to improve our SPAG skills throughout our work, concentrating on different aspects within our writing tasks. Remember to use your log in for Discovery Learning regularly to help you with any areas of year 6 work that you may need extra practice on. If you need a log in and password please see Mrs Lynch. In maths, we will continue to work in groups, to address any areas where support may be needed and extend and challenge all learners. We will continue to develop and extend our skills in the 4 rules of number, our understanding of place value, decimals, percentages, and fractions and measurement. We will focus on the using and applying aspect of maths through problem solving, reasoning and investigation. In science, we will be working on a unit called- Changing Circuits. Children will use recognised symbols in circuit diagrams correctly. They will discuss analogies and offer their own explanations for the results of their investigations about altering brightness of bulbs and volume of buzzers. They will describe how to do this in a variety of ways including changing the number of components, battery voltage, or the properties of the wires in the circuits. Please remember to carry on practising your times tables up to 12×12 as it is essential that the children have rapid recall for all tables facts. All children have logins for TT Rockstars. Try and beat the other class in Battle of the Bands. 6L are currently in the lead. We will regularly update our web pages to keep you up to date with what we are doing throughout this year. Look out for blogs written by the children. The children have written stories for younger children- incorporating their own pictures, pictures from the internet and illustrations made with the Brushes app. Wonderful conversation and reasoning going on today in Y6 division lesson.